Angel of the Battlefield! That was what the whole world called Clara Barton, and a more determined angel never existed. From her youngest days, Clara sought to excel at everything she did. But the little New England farm girl never dreamed that her wish to help people would take her all over the world - or that her nursing skills would one day lead her to found one of our country's greatest organizations - the American Red Cross. Here is Clara's dramatic life story as she goes from a loving family to meet presidents, from the Civil War battlefields helping wounded soldiers from both sides, to the flooded Ohio Valley, where she helps victims build new lives. 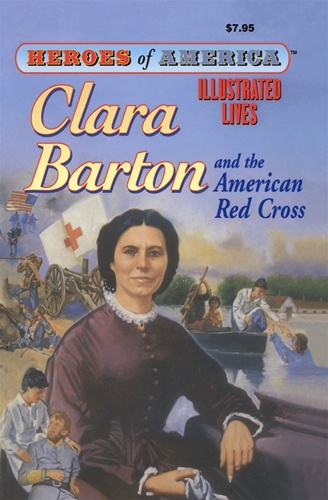 Clara Barton - one of the best-loved and most honored women in American history.